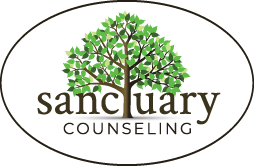 Tag: self-care | Sanctuary Counseling, LLC. I often talk to my clients about the topic of self-care. Many of my clients aren’t familiar with the term or how to begin applying some self-care in their busy lives. 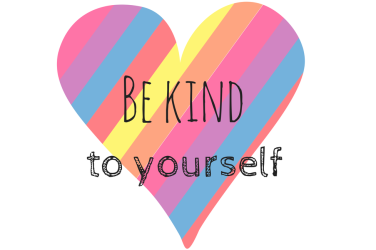 Self- care is individual for each person and it’s a good topic to explore with yourself and your therapist. So what is it exactly? 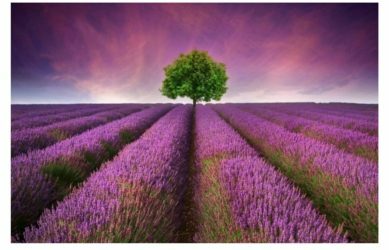 Self care means choosing behaviors that balance the effects of emotional and physical stressors: exercising, eating healthy foods, getting enough sleep, practicing yoga or meditation or relaxation techniques, abstaining from substance abuse, pursuing creative outlets, engaging in psychotherapy. Also essential to self-care is learning to self-soothe or calm our physical and emotional distress. Remember your mother teaching you to blow on the scrape on your knee? This was an early lesson in self-soothing but many adults really struggle with knowing how to constructively soothe themselves. If this sounds like something you need to cultivate in your life, I encourage you to try something from the list below and talk to your therapist more about how to incorporate these soothing and caring activities into your life. With the arrival of the New Year, the infamous (yet mostly unattainable) resolutions have been circulating through our lives once more. In those first few weeks at the beginning of the year a frenzy of placing unrealistic expectations on ourselves ensues in order to make us feel better or put pressure on us to make it a “good” year. We decide to choose resolutions like “I will go to the gym 15 times a week and eat nothing but carrots and celery” that ultimately set us up for excuses or failure and leave us feeling unresolved and even a bit embarrassed. While I value personal growth and overall health and believe these are things we should strive for, I think that small and practical resolutions that make us feel great are the way to go. In my humble opinion, the behaviors that actually have the ability to change our lives for the better are the ones that we can easily slip into our daily routines with very little effort. Making small changes, equivalent to saving pennies in a jar, will eventually lead to large and impactful new behaviors (and to actually have spending money if you opt for the penny thing). For some reason, as human beings, we tend to get into the habit of punishing ourselves too often, ultimately repeating a cycle of self-rejection and negative self-talk. Time after time I find myself being my biggest critic when things don’t turn out right, or I’ve decided that I’m inferior to someone else. The “should haves” and “would haves” and “could haves” have become staples in our vocabulary that do nothing but limit our potential to be better. Treat yourself like you would your best friend. When we look at our friends, we see flaws and we accept them without a second thought; looking past those flaws, we can see the person as a whole. We see people who are deserving of the utmost respect. Why on Earth would we not consider ourselves one of those people who deserve the same amount of understanding? Therefore, every time you have the impulse to punish or insult yourself, try and get into a new habit of asking “Would I say that to my friend?” or “Would I do that to my friend?” If the answer is no, there is a good chance that you should not be saying that to yourself either. You are just as worthy of understanding and acceptance as your friends and I encourage you to see yourself as just that. You are human and you are free to make mistakes, or be weird, or be different, or be the same. I hereby grant you permission to treat yourself like you deserve to be treated! This one small change in behavior has the potential to make a huge difference. There’s nothing wrong with setting big goals for yourself if those goals are attainable for you, but I urge you to find the importance of the small ones too. Celebrate the little victories just as excitedly because eventually they lead you to the epic ones.